Wait, so Windows 8 is not outpacing Windows 7 adoption rate? While Microsoft has hailed sales of more than 40 million licenses of Windows 8 in just the first month, traffic on the internet does not reflect a similar pattern based on the 15 billion page views per month that StatCounter analyzed. As of November 28, 2012, Windows 8 had an internet usage rate of 1.44% which is a fraction of what Windows 7 had in the month following its release. Windows 7 had a 4.93% share when it was one month old in November 2009. Now before people start waling about the failure of the new OS or lies told by some evil software corporation, there may be some mitigating factors, most notably Hurricane Sandy which definitely had a significant impact on internet usage and shopping for an extended period of time. Another statistic that StatCounter noted was the relative increase in the adoption rate for each OS one month after release. Windows 8 had a 345% increase post-launch versus a 223% increase for Windows 7 for its relative period. 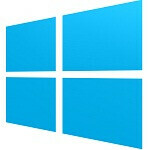 Windows 8 initial share at launch was also smaller, 0.38%, compared to 2.21% for Windows 7. The most immediate reason for that is that everyone was eager to upgrade out of disaster that was Windows Vista. The next immediate reason for the smaller share is because Windows 7, by-and-large, works great, thus the urgency to escape (like Vista) just is not there. Another factor could be that the initial glut of licenses went to manufacturers and so we may yet see a surge in traffic as the holidays come to pass. Either way, Microsoft does not have that much to worry about. Windows holds a 90% share of the market based on the usage statistics gathered. Windows 7 has nearly 53% by itself, followed by Windows XP at 26%, Mac OS X with 8%, Vista at 6.6% and the iPad grabbing 2.91% all by itself. Linux holds on to a near constant 0.9%. As to whether or not Windows 8 is outpacing Windows 7 or not, it depends on where you look, how you look, who you ask and when you ask. The initial user experience with Windows 8 is a drastic departure from previous versions. Naturally, people may be a bit cautious. Have you taken Windows 8 for a spin? Microsoft is doing a lot to entice you to upgrade. Have you? Will you? Don't forget hurricane Sandy's impact.... Puhleeeease. It didn't work for Mittens to blame his loss on Sandy; it won't work to blame the slow adoption rate for Win 8 on Sandy either. If by successful you mean shipping our jobs to china then you're right. Face it, Romney would have been a horrible president. I have it on my father's notebook... It isn't intuitive and is very hard to use on mouse-keyboard devices.. Multitasking is not at all easy like it was on windows 7(or more previous versions).. I miss the Start button a lot..
You don't need to try it out to know.. Just LOOK AT IT! It's designed for tablets.. and we are using mouses in computer. And there is a scroll bar at the bottom and we have to scroll left n right to access ''apps''. I tried it and compared to Windows 7.. and i would still think Windows 8 is worse than Windows 7.
or you can hit your windows key on your keyboard and that pops up the apps. ... your mom. Cool story bro! In all honesty, Microsoft made a poor move in keeping traditional desktop users out in the cold. To close an application, you have to drag the top of the application all the way to the bottom, which makes sense on a touch screen but not with a mouse. Also, when having 2 apps on the same screen, they either take 20% or 80% of the screen which is most unreasonable, the GALAXY Note series handles multi-tasking better for god's sake. Is it better than having it 50-50, why does each app need to occupy either a ridiculously large amount of the monitor or a minuscule amount. I hate this OS, so much that I left windows for mac. I would've liked windows 8 if it were optimised for traditional users and the full screen app problem. Plus the gestures are pretty unintuitive and almost never work on windows 7 laptops updated to windows 8, unless they were released this year. I still have windows 7 for my gaming purposes but I use my mac for just about everything else. Windows 7 is a perfect OS, it just got boring to me, and I use the mac because all my basic needs are met more easily, albeit with a lot of mac-centric frustrations. Just shows how much you know. And you don't know anything :P You basically described the Modern UI which is PART of the OS. Maybe you should try it out BEFORE saying it's unoptimized. The point is, the new UI is basically a new start menu. The desktop, windows and all the stuff is STILL there and it works exactly the same as in Windows 7. I've had it on my old laptop since beta, and it mostly is the same except most apps don't run on the traditional desktop. The start button isn't there, everything is just a lot more "schizophrenic" in the sense that some apps work on the desktop and others work in metro. I do commend microsoft for taking the steps into making it boot as fast as mac OSX and to finally have a not-so-laughable experience on internet explorer, but taking 2 steps forward and 4 steps back is not a good sign. I don't get how people say that every creative person uses a mac since I do pretty much all the same video editing, word processing, image editing and all that on windows, and some are even better on windows. Mac definitely is easier to navigate than both OSes though, it boots faster than windows 7 and gets things done faster than windows in my experience. Windows 7 was better than mac OSX 10.6, but mac evolved, and windows revolutionised, but not in a good way. So yes mister, I do know what I am talking about. If you bring linux into this, then I'd be a fool to say anything at all, but I have used every windows iteration since 2000 and I am still 1 month into using my first mac. I've had windows 8 since beta, gave it a chance when it was released and ultimately wasn't just unimpressed, I was appalled. I have a touchpad, so I can only imagine the frustration of using a mouse which is even worse. Why be forced to use metro when the mouse clearly isn't optimised, I still hold on to that. Microsoft is forcing users to get a touchscreen and that is why it's adoption should not be as high as windows 7. I do believe windows will eventually sell but I'll wait for windows blue to install on my desktop. Microsoft claims 100,000 apps by the end of the year (correct me if I'm wrong) which is still probably not nearly as many apps as regular desktop apps. In the end it doesn't know where it belongs to, tablet apps that work great on tablets but horribly on desktops, and vice versa. An incomplete experience on both. Don't get me wrong, I'm very confident that windows will eventually work in a beautiful harmony, both touch-screen and otherwise. Thinking that it achieved what windows 7 did in it's time, which is a perfect OS for the vast majority of consumers (tablet pcs weren't really popular in 2009) is pure hogwash. There is still no start button, and the functionality of the new start screen is poor beyond belief, where everything the start menu occupied would be a mere 10% of the screen, this one occupies the entire screen, which does not enhance productivity at all, which was what windows was well known for. It's sacrificing functionality for aesthetics, not even Apple does that. Heck isn't it a little odd that windows has garnered a ton of criticism from this release of windows and not windows 7. OSX doesn't get this type of criticism, just the pricing of the products. I'm not misguiding anyone. The start button isn't there anymore, it's gone. What came instead is a square that appears when you hover the cursor, the function of which is to display a bunch of applications and use up your entire screen, forget watching a movie while pressing the start button. I can't imagine schools, businesses or institutions using windows 8 until touchscreen desktops are cheaper and popularised. Windows 8 is a personal OS, much like mac OSX. what windows 8 are you using? on my desktop when i want to close an application i just click the x in the upper right corner. same as on windows 7. there are always going to be people that dont like something about something new. it's just too bad that those people are more readily to voice their opinion about it than the people that do like it. Windows 8 pro, and if you use apps from metro, or the windows 8 app store, then you have to perform this lengthy manoeuvre. wrong, because 1) For closing an application, if its on Desktop, it works the same as in 7. If its Modern UI, you can close with alt-f4 keyboard shortcut, you can hover on top left then slide down a bit to close any apps that aren't the currently active one by right clicking on it, and you can also ctrl-alt-del to force apps to close in the task manager. You dont have to do the drag thing. 2)As far as the app split thing, you can adjust the screen size it will take, but the 80-20% is the default for it. Its meant to be for the important app to take the big portion (ie web browser, offe program, game, etc.) while the other one will be something minor (ie weather, news, etc.) 3) Hating 8 so much that you go to mac doesnt really compute, since you have to learn a new UI anyway, plus paid more for the computer, and have a more restricted os. Why not just go back to 7, or go to Ubuntu, if you hated it that much? 1) I'm completely aware of that, all of it. I think I failed to point out the fact that I don't understand why they didn't go all the way and innovate for mouse users. I'd hate to see the future of computing be without a mouse and keyboard and since Microsoft is by far the market leader in that, things aren't looking good. So yeah, I'd just wish they'd go the extra mile. 2) There'll always still be an app using 80% of the screen, and depending on the screen's aspect ratio, 90%. Is it unreasonable to at least have 50% of the screen for each app, or at least let you split it at any ratio? this I'm particularly baffled by. Especially when my OG Samsung GALAXY Note running jelly bean can do exactly that. 3) I didn't just go with mac because of my hatred of windows 8. I specifically went to a Macbook air because it is light, portable and has the power of a regular computer and not a tablet, meaning I could still use a word processor, do some video or photo editing (which I do), and has a charge for more than 5 hours, which while not exactly tablet-worthy, it is spectacular for laptops (mine on average holds 7 hours and 30 minutes). I've done a lot of research and I liked it. There are very few windows laptops that are exactly like that but run windows instead, and I switched for the same reason I switched from an iPhone to my Samsung GALAXY Note, the OS got stale. I tried OSX in stores and was amazed by it. I bought it and had some regret for a few reasons. My 1TB hard drive was incompatible, I had to format 500GB of the photos, videos, movies and tv series I had in there, or I could buy a $20 app on my mac which fixes it, I went with the latter. I'm a dedicated gamer and while my mac doesn't have the power play the latest games, it's still a very small collection nonetheless, and I don't wanna install windows on it anyway (not because I dislike it, I only have a 128GB SSD and don't want to sacrifice the space). Everything else was an awesome experience, it does everything I want my computer to, and that is the exact feeling I got when I had windows 7 the first time. I would've gone ubuntu but I wasn't exactly sure about it and I was going to change my laptop anyway. It felt a little like a gamble. In conclusion, I probably hate windows 8 more than I should because I expected so much more. I really did give it a chance and I personally did not like it. Everyone's entitled to his opinion and it seems as though I'm the minority, and that's okay. I've had a horrible experience in beta where a week after installing windows 8 my computer would boot into a blue screen, and forgave them because it's just a beta. Now windows 8 is out and the bugs are ironed out, boot-up time's awesome (my MacBook boots up in 7 seconds, but that's thanks to both the SSD AND the OS) but in the end, I did not get the same feeling I had when I first tried Windows 7 or OSX.